While real estate professionals may be committed to their clients, clients may not always return the favor. No matter the size of a real estate business it can face potential exposures as client expectations are increasing and lawsuits are becoming more common. 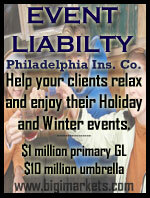 It is important to protect the business’ financial security during a lawsuit or claim. 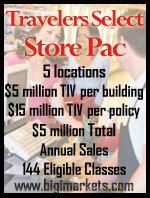 That is why Travelers 1st Choice+® is specifically designed to offer protection to real estate professionals for the array of emerging exposures they face and can help protect the real estate firm against losses resulting from negligence, errors, and omissions in the performance of professional services. 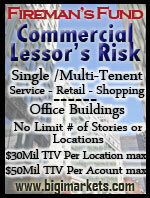 And this errors and omissions policy can be tailored to fit the business’ needs. Learn more here or by logging into www.bigimarkets.com. I encourage you to visit the DocuSign blog to read a Big “I” member and satisfied client’s tips on why e-signature is beneficial. You’ll consider the cost of processing paper and more at this informative post. While you’re there, take a moment to like Docusign on Facebook, Twitter and other social networks to keep up with developments from this key partner. Learn more about the Docusign product and your exclusive Big “I” member discount at www.docusign.com/IIABA. 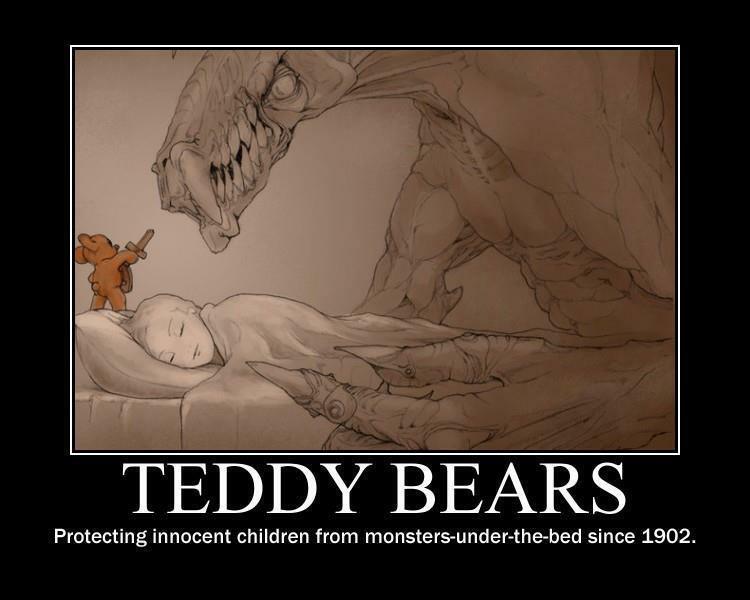 I think every child growing up had a Teddy Bear. Named for President Theodore "Teddy" Roosevelt, an avid hunter, who supposedly refused to shoot a bear cub captured just for him. In honor of his mercy a German company created the first Teddy Bear. This picture (artist unknown) sums up the relationship between child and bear. Nowadays Teddy Bears are also a symbol of love and affection given, among other times, on last Saturday's Valentine's Day. Prices range from a few dollars to a few hundred to this Teddy Bear/diamond combination. Over the past few years collectibles such as Teddy Bears have increased in value which might indicate an increased number of new collectors. Recently a unique stamp sold for over nine million dollars. Other collectibles don't go quite that high such as Beanie Babies, the most expensive of which is only $4,500. As a BIM agent you have access to a stand-alone valuable articles product that can help cover a diverse range of risks including fine arts, jewelry, antiques, silverware, coins & stamps, memorabilia, gun collections, fine wine, musical instruments as well as other collectibles. Agreed Value, Current Market Value or a combination of both with All-Risk, Worldwide Coverage (including breakage and mysterious disappearance). Coverage available for personal collections while on loan to museum exhibitions. Coverage for the cost of replacing or restoring the identifying labels for wine. Comprehensive forms to thoroughly address critical policy features rather than treat them as an afterthought to homeowners insurance. Coverage is not offered for the following items: Hearing Aids, Handbags, Professionally used Musical Instruments/Equipment, Electronic Equipment (including but not limited to: Video Game systems, Computers, iPods, Professionally used Cameras). Bicycles are covered under the Bicycle Program. 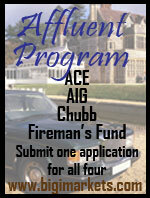 The Stand-Alone Fine Arts and Valuable Articles program is available to members in all states except AK and HI. Learn more by logging into Big "I" Markets. The Big 'I' Professional Liability Program and Swiss Re Corporate Solutions are hosting a FREE risk management webinar on February 18th at 2 p.m. EST to provide members with the guidance on how to avoid E&O exposure when advocating for customer claims. The webinar will last about 45 minutes and share details on the "Do's" and "Don'ts" when advocating for customer claims after an initial denial. A 2012 survey of panel counsel attorneys for Swiss Re revealed that improperly advocating for customer claims was one of the most common errors and most dangerous things agents could do to expose themselves to E&O claims. $79 - Click here to register. Are you tired of all the insurance commercials that shout "Price! Price! Price!"? Are you sick of the silly claim that someone's exposures to loss can be analyzed and priced in 15 minutes or even 7 ½ minutes? How about losing business to someone selling an inferior product yet claiming, "SAME COVERAGE, Better Value"? If so, then sign up for the new 3-hour webinar called "Competing with Direct Sales and Captive Agency Insurers in Personal (and Commercial) Lines." While the focus is primarily on personal lines where direct sales and captive agency companies dominate the marketplace, the first hour addresses both P&C lines and many of the principles discussed throughout the webinar are applicable to both. VU webinar questions can be sent to bestpractices@iiaba.net. Remember that you can view the following webinars 24/7 by checking out the BIM Webinar Library. To do that log onto Big "I" Markets and click on "Publications". "Oh, by the way...Flood Sale"
Interested in learning flood marketing techniques? Participate in the "Oh, By the Way...Flood Sale" webinar presented by Big "I" Flood Program Manager, Jeff St. John. Topics in the fast-paced 1 hour presentation include: Reasons to Sell Flood Insurance • Reasons Consumers Should Buy • Limited Product Knowledge • Misconceptions by Agents & Consumers • Talking Points & Myth Busters • The Flood Risk • Flood Resources – Facts & Statistics. For all you folks who recently registered for Big "I" Markets, remember you can participate in a webinar from the comfort of your office to help you learn how to navigate around the system. Every Thursday at 2:00 p.m. EST we'll show you how to navigate the Big "I" Markets platform, including how to submit a quote! Register for the webinar by sending an email with your name and company name to bigimarkets@iiaba.net. Include "Website Navigation Webinar" in the subject line or body of your email. A recording of this webinar can be found under "Publications" after logging into Big "I" Markets. Last week we reviewed the economic theory behind paying for advertising being based on paying until the cost of new business just equals the cost of processing that business ("Marginal Revenue equals Marginal Cost"). If you missed that, you can see it in the Two for Tuesday archives. In follow-up to that some asked what specifically is the number an agent should pay for a warm lead. The answer is "it all depends" but based on the scenario below, I arrive at $150 for each quote request ("Quote Inquiry"). The example is a simple one but modern spreadsheets make doing one's own analysis of this mathematically straight-forward. Based on below you can figure that out for your agency, line of business, hit ratio, etc. In the coming months, watch here for news on testing of direct mail and Internet marketing we are planning with several start-up agencies based on this very mathematical model. If it works it will be the first time I've seen it so definitively tested. We'll let you know how it goes! Congrats to our agent in New York on a Garage Pac sale of $3,352 in premium!